• Avoid fish oil if you have a medical condition that doesn't allow fish or fish in your diet. Hair loss appears to be inevitable with age. No matter how much you love your hair, you are very like to lose some of them. On the other hand you keep hoping for better hair growth and it never happens as you wanted it to be. However, there are things that you can do reduce hair loss and improve hair growth. While such things may work wonders for some and failing drastically for others, we still continue to look for such options. Fish oil is one such option that people are using to prevent hair loss. We all know that it is a wise choice to rely upon fish oil for hair loss but is fish oil good for hair growth? Well, the answer is yes. As you can rely on fish oil for hair loss because of it’s omega-3 content. Omega-3 fatty acids have been found to help fix dry and brittle hair and also reduce hair loss. People are not only using fish oil for hair loss, but for nicer hair as well. Omega-3 also can help increase hair growth, helping the hair grow stronger. The essential omega-3 fatty acids also contribute to effective brain function and cellular maintenance and repair. Fish oil can help stimulate the skin, hair and follicle growth. Omega-3 fatty acids also offer powerful antioxidants properties that reduce the destructive effect of free radicals that may lead to hair loss or poor hair growth. Omega-3 fatty acids also contribute to maintaining the integrity and permeability of cell membranes, helping essential compounds to pass into the cell. It helps the hair grow faster and stronger. The fish oil also promotes anti-inflammatory processes of the immune system thereby reducing the chances of hair loss. While current research does not demonstrate that fish oil prevents hair loss, omega-3 fatty acids do enhance skin and scalp health, reducing scaling and dryness. Scientists advise fish oil for hair loss and hair growth. A diet rich in fish will help you reduce symptoms of several hair disorders. 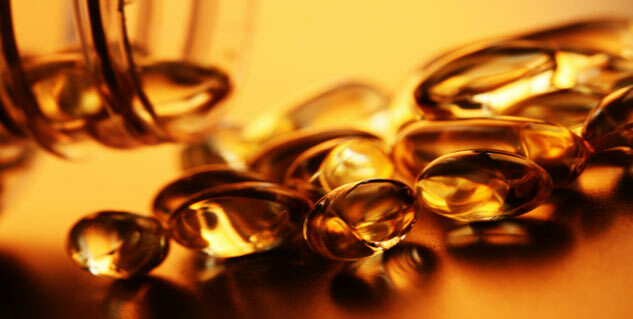 However fish oil can interact with medications or may not be suitable during certain medical conditions. So before your start taking fish oil consult your doctor first if you are taking any medication or getting any treatment. People with low glucose such as Type 2 diabetes, taking medications that affect insulin should not take fish oil. Fish oil may also thin the blood and too much of fish oil when taken with blood thinners may lead to excessive bleeding, swelling or bruising.